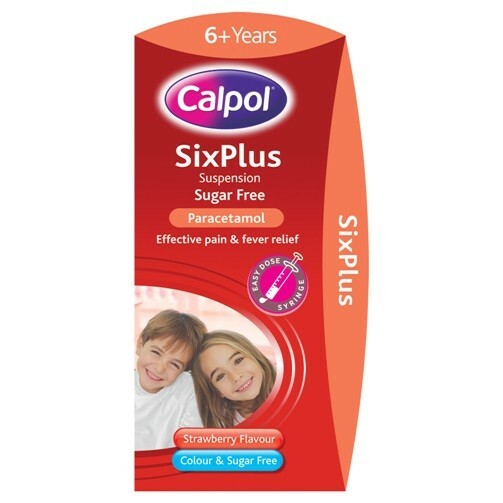 Calpol Six Plus Sugar Free Suspension is liquid paracetamol suitable for children aged 6 years and above. Sugar and colour free it provides fast effective relief from pain and fever. It is also suitable for use by adults with swallowing difficulties. Dosage: Use up to 4 times a day if necessary.